The Financial Accounting Standards Board has posted the agenda for the April 1 meeting of its Transition Resources Group on its upcoming standard on Measurement of Credit Losses on Financial Instruments. Additionally, the FASB has provided draft language that it expects to include in the upcoming standard on credit losses (subject to the Board's final approval). The Financial Accounting Standards Board has posted the agenda for the April 1 meeting of its Transition Resources Group on its upcoming standard on Measurement of Credit Losses on Financial Instruments. Additionally, the FASB has provided draft language that it expects to include in the upcoming standard on credit losses (subject to the board’s final approval). The standard is widely known by the term “CECL,” for Current Expected Credit Loss metholdogy, which represents a shift in approach from the former “incurred loss” methodology to an “expected loss” methodology. Some of the chief concerns that certain financial institutions and the associations that represent them have voiced relate to how much flexibility will be permitted by the new GAAP standard as well as by financial institution regulators overseeing implementation of the standard. Other concerns center on expectations of how far into the future certain estimates must be made and incorporated into the estimated credit loss, based on information available and other factors. Is it clear within Subtopic 326-20 that an entity will be able to utilize various methodologies to determine their expectation of credit losses and that the upcoming standard does not prescribe one method? Is it clear within Subtopic 326-20 that an entity will not be required to forecast conditions over the entire life of a financial asset? To the extent an entity reverts to historical losses in accordance with 326-20-30-9, is it clear that an entity has flexibility to determine the historical loss information to which it would revert and the method of reversion? Is it clear that an entity should incorporate information in its expectations of credit losses that are relevant to the entity and accessible without undue cost or effort? Is it clear that external information should not be utilized if it is not relevant or less relevant than an entity’s own internal information? Example 2 in the implementation guidance demonstrates how expected credit losses would be measured for an individual loan. We understand that many performing loans will continue to be collectively assessed, possibly based on call report categories. Do TRG members find Example 2 helpful or should we remove it from the guidance? Other observations and comments on clarity of Subtopic 326-20. 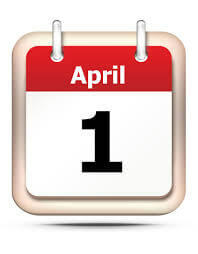 The April 1 meeting will begin at 8:30 a.m. ET, and will be webcast. For additional background, see our March 22 post, FASB faces challenge on credit loss standard, announces advisory group. Learn more about the latest changes in accounting standards at Jennifer Elders’ “Not so typical accounting update-everything you did and did not want to know,” part of the MACPA’s 2016 Business and Industry Conference taking place on May 13 at the Hilton Baltimore BWI Airport.